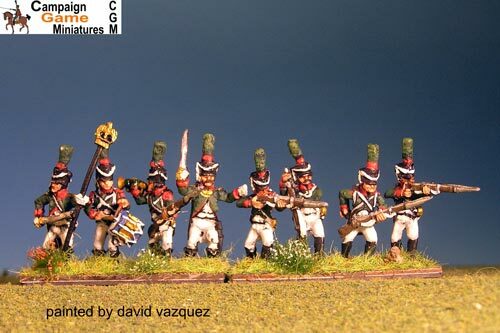 Napoleon Dragoons Charging. 8 figures including 3 command & 5 troopers in 8 fig pack: 9 troopers in 12 fig pack. Use drop down menu on right to indicate number of figures. 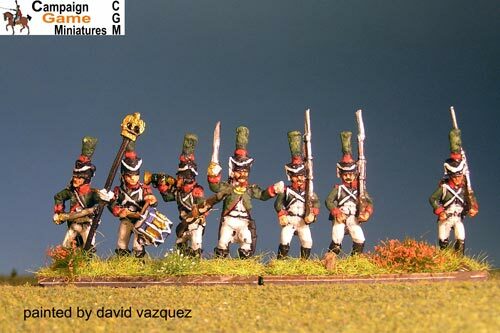 Napoleon Dragoons At Rest. 8 figures including 3 command & 5 troopers in 8 fig pack: 9 troopers in 12 fig pack. Use drop down menu on right to indicate number of figures. Italian Guard "Conscripts" (Reale) in Shako Marching. 3 command in 12 fig pack and 4 command in all other Battalion packs. Use menu on right to elect packs of 12, 16, 24, 32, or 36 figures. Italian Guard "Conscripts" (Reale) in Shako Advancing. 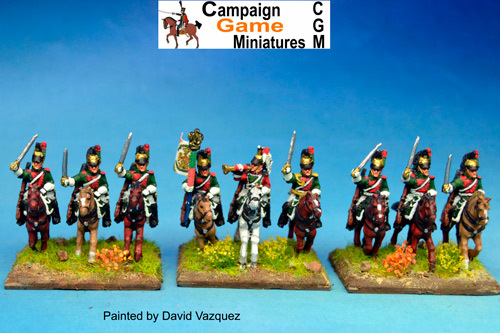 3 command in 12 fig pack and 4 command in all other Battalions. Use menu on right to elect packs of 12, 16, 24, 32, or 36 figures. Italian Guard "Conscripts" (Reale) In shako Firing Line. 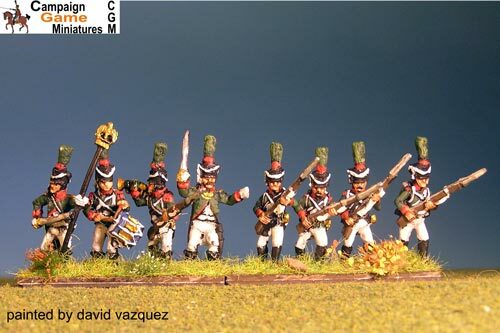 3 command in 12 fig pack & 4 command in all other Battalions. Use menu on right to elect packs of 12, 16, 24, 32, or 36 figures.